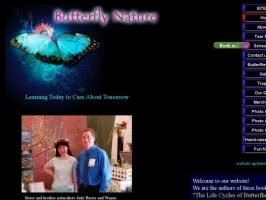 An educational website full of wonderful photos of butterflies and their eggs, caterpillars and chrysalises. Learn about all the stages of their development and their amazing metamorphosis. Teachers' Choice Award for 2007.